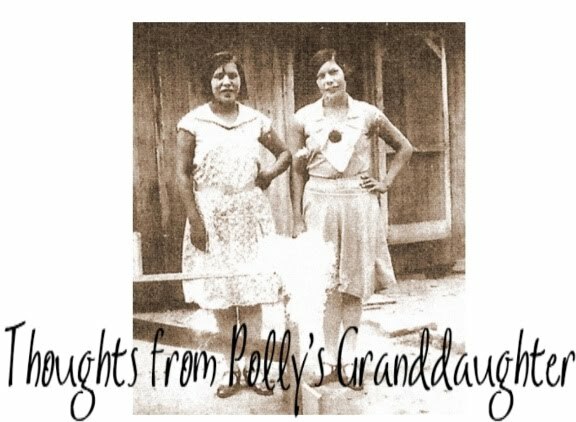 A little Cherokee history and genealogy mixed in with a whole lot of truth. It's time for another poll! These are my nominations for the best of the best songs that mention "Cherokee" in them. Some are fun, others sentimental, and others, inspirational. Listen to them and decide which you think is the best of the best and cast your vote at the bottom of the post. Reason -Just a fun little song about the famous Cherokee, Will Rogers. Reason - There were a lot of Cherokee men who played the fiddle, my own grandpa being one. Though a somewhat sad song, it does remind us Cherokees of those more recent generations of fiddlers in our families. It seems most of us know someone in our family, whether it was a grandpa, great-grandpa, uncle, or other relation, who played the fiddle. Reason - A touching song that Becky sang at the inauguration of recently elected Principal Chief, Bill John Baker. Reason - I really, really LOVE this song. Not only is it sung by a Cherokee, it makes some good points. Litefoot has managed, in this song, to put into words, what so many of us have thought and felt for a long time. Ok, those are my picks for the five best songs that mention "Cherokee" in them. Now it is your turn. Click below to cast your vote! Which of these "Cherokee" songs do you think is best of the best? Those are my thoughts for today. To assist those who desire to learn more about Cherokee history and genealogy by dispelling common myths and providing accurate information. Native America Calling - Monday, July 30, 2012 –Who Has The Right To Claim Native? 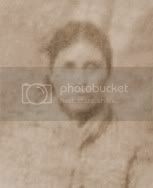 Indian Country Today Media Network - "11 Essential Genealogy Blogs"
Family Tree Magazine - "Fab Forty"
America Live with Megyn Kelly - Fox News - "New calls for Elizabeth Warren to show proof about heritage"
Legal Insurrection - "Cherokee genealogist to Elizabeth Warren — Tell the truth"
Hot Air - "Cherokee genealogist says it’s time for Elizabeth Warren to come clean"
Free Beacon - "Not My Tribe"
The Boston Herald - "Elizabeth Warren’s goose is cooked"
Human Events - "Enter the REAL Cherokee"
The InQuisitr - "Cherokee Genealogist Blasts Senate Candidate Elizabeth Warren for Bogus Native American Heritage Claim"
Please read the license and acknowledge my contribution if you use my content. Thoughts from Polly's Granddaughter is licensed under a Creative Commons Attribution-Noncommercial-Share Alike 3.0 United States License and is owned and administrated by Twila Barnes. Bam! Last Nail in the Coffin on that Old Story! When Is An Elopement Not An Elopement? Did Warren invent the story of racist grandparents?